Fox News is trying to entice Democratic presidential candidates to participate in town halls on the network, as Sen. Bernie Sanders (VT) is scheduled  to do on April 15. Though Sanders has explained his reasoning  for wanting to do a town hall on Fox, there are plenty of good reasons why other candidates should think carefully  about whether they want to partner with the network. Fox is a pernicious propaganda machine  for the Trump White House, and it has a long  history  of both denying and downplaying climate change and helping to block climate action. Fox is currently at the peak of its political influence, but it's also at a precarious point both financially and in the court of public opinion. Many advertisers have  fled  and others are considering following suit, not wanting to be associated with the network's bigoted and toxic commentary. Fox is now desperately courting advertisers  by trying to paint itself  as a legitimate news outlet ahead of May 13, when it will host an "upfront" event at which it aims to sell about 60 to 70 percent of its advertising space for 2020. Democratic candidates might want to keep their distance and not enable Fox's attempt at whitewashing its toxicity. After the New Yorker published its piece in March, the Democratic National Committee barred Fox News  from hosting any of its upcoming presidential primary debates. Fox News has been especially destructive on the climate change narrative, serving as an echo and amplification chamber for climate denial and environmental deregulation efforts. For years, Fox has played a critical role in undermining the public consensus around climate change by eroding trust  in climate scientists and scientific institutions, according to a 2013 study . A separate study  by the Union of Concerned Scientists found  that 72 percent of Fox News segments about climate science in 2013 "contained misleading statements." 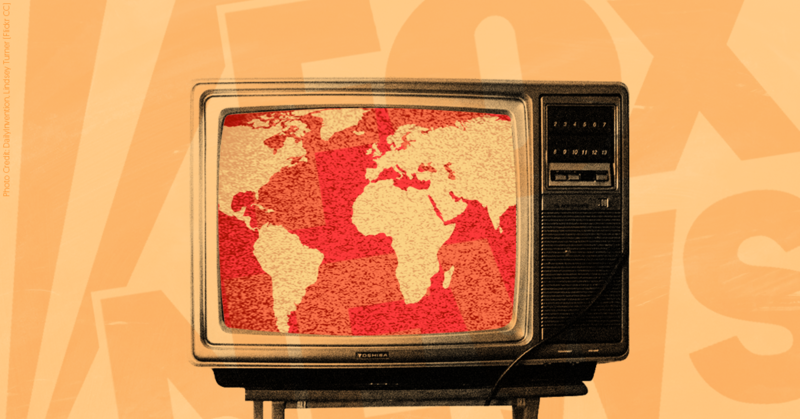 In the years since, the network has continued to parade  a coterie  of network personalities , fringe  cranks , and conspiracy  theorists  to push misinformation about climate change and attack those working to confront the climate crisis. During the Trump administration, Fox News has also provided  a safe haven  for disgraced  officials  like former EPA Administrator Scott Pruitt and former Interior Secretary Ryan Zinke. Not only did Pruitt and Zinke prefer Fox News over other news networks, they both used their appearances on Fox to question climate science  and to advocate for harmful environmental rollbacks , often with little to no pushback from fawning hosts. Fox News claims that Martha MacCallum and Bret Baier, the Fox hosts who will anchor the town hall with Sanders, are straightforward newscasters. But a closer look at their past comments and reporting reveals that they cannot  be trusted  to foster good-faith discussions about key issues, including climate change. That same year, MacCallum downplayed  the importance of climate change and argued that Democrats in Congress should be concentrating on other issues instead. And in March 2015, after the Obama administration announced a voluntary emission-reduction pledge ahead of the U.N. climate talks in Paris, MacCallum was critical of the move and falsely said  that the U.S. was going to the "upper end of the range" with its commitment and "nobody else has to do it." In fact, dozens of other countries had by that point announced targets to cut or curb their greenhouse gas emissions, including the European Union, whose target was more ambitious than the one the U.S. put forth. Baier has a reputation for not being as bad as some of the more explicit climate deniers on his network, but according to a 2014 analysis  by the Union of Concerned Scientists, he has still aired "a number of segments containing inaccurate statements about climate science." He has given climate skeptics a platform to attack climate science  and climate action , often with very little pushback . In March, Fox News executives held an unprecedented meeting with its advertisers  to persuade them not to abandon the network after more than 30 companies  had dropped their ads since the initial push began in December of last year. Recent calls for companies to pull their ads from Tucker Carlson Tonight and Justice with Judge Jeanine came in response  to Media Matters releasing audio of Fox host Tucker Carlson's racist  and misogynistic rants  on the Bubba the Love Sponge Show from 2006 to 2011, and to Fox personality Jeanine Pirro’s anti-Muslim tirade  against Rep. Ilhan Omar (D-MN). For years, Fox News has let its prime-time hosts spew bigotry, propaganda, and dangerous conspiracy theories on a nightly basis, while using its so-called "news" programming to give the network a veneer of respectability. But the "news" side  and the "opinion" side of Fox News are two sides of the same coin . Fox is dangerous and corrupt from top to bottom. Bill Sammon, Fox's senior vice president and Washington managing editor, is courting Democratic candidates for town halls and trying  to get the DNC to reconsider its decision not to let Fox host a debate. He sent the memo out less than 15 minutes after a Fox correspondent accurately reported that U.N. scientists said the 2000-2009 period was "expected to turn out to be the warmest decade on record." When the correspondent returned to the air a few hours later, he added views from climate "skeptics" into his reporting. Sammon has also tilted Fox's coverage of other issues further to the right . Four years ago, Sammon played a key role in crafting questions  for a Republican presidential primary debate. Do Democratic candidates want to invite Sammon to craft questions for them now? With Fox on the ropes with advertisers, Democratic candidates should consider if they want to throw Fox News a lifeline  this spring.